Yesterday morning, I was invited to a “food blogging” event at Ya Kun Kaya Ortigas by its owner Richard Co. I was anxious at first as I’m not sure that I’m going to enjoy their food because the name doesn’t sound familiar, and excited at the same time that I will be able to have an opportunity to taste their “kaya”, which is new to my eyes and tongue. When I was there, I thought that it’s like some any other foreign- inspired restaurants (as I have learned that it is originally from Singapore), where mostly it would cost my pocket to bleed, but I was surprised that their sort of value meal that includes hot coffee/tea, toast and 2 soft boiled eggs only costs P150.00. 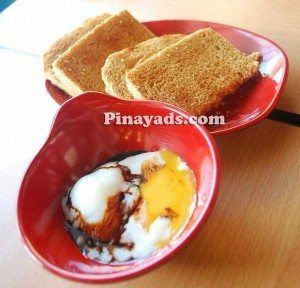 Honestly, I was hesitant to try the toast with soft boiled egg because I thought that the egg would have a rancid (malansa) taste, but then again, I was surprised that the egg was perfectly cooked but smooth and the yolk is still intact. 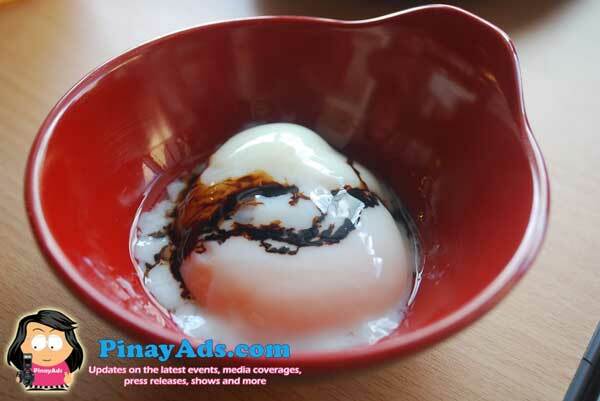 It has the consistency of a taho and it is perfect with Singaporean dark soy sauce. I also tried the kaya toast with butter, as well as cheese toast with kaya. For those who are wondering what “kaya” is, it resembles our local egg and coconut jam. Ya Kun’s specially formulated kaya (or egg and coconut jam) is made from a proprietary recipe comprising coconut milk, sugar, eggs and fragrant pandan. 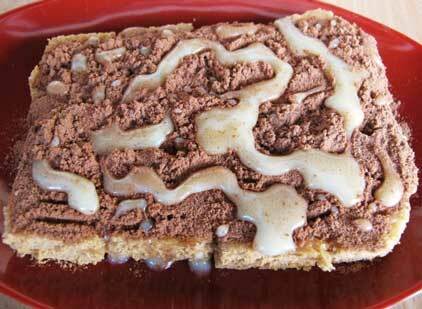 No preservatives, artificial colouring and artificial flavouring are added, and only the best ingredients are used. Anyway, aside from the toasts I enjoyed, I never let the chance passed not to try the milo toast (FYI, I love milo energy drink). 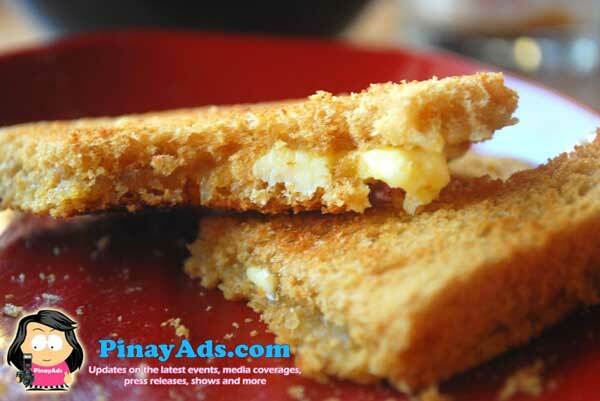 However, among the three, I still prefer the kaya toast with butter because it really tasted yummy. And as for the Iced Lemon Tea, it’s not just ready to drink or ready to serve iced tea that are typically found in stores now. Their tea can help reduce cholesterol because they are made with brewed tea, sugar, and lemon that tastes like tamarind or something I can’t really explain, but one thing I’m sure, Ya Kun Kaya’s Iced Lemon Tea is soothing, stimulating and very refreshing. Having these type of toasts for a breakfast is really a good reason to wake up in the morning and “break the fast” since waking up late is nothing but normal to a full time blogger like me. I know that I should not make this kind of “situation” normal as I am fully aware that I need to eat a balanced meal at least three times a day, especially breakfast. But how can I prepare a delicious and nutritious food in the morning when my eyelids find it hard to separate from one another? 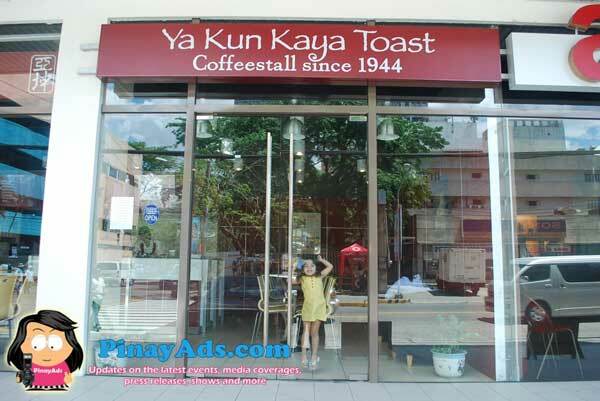 But since I already tasted “kaya toasts”, this is not a problem anymore as I have discovered a new way to have my, and my hubby’s breakfast – it’s through Ya Kun Kaya Ortigas.